Dangerous Products - Our modern life has introduced us to a lot of danger potential, with all the radiation, toxics, and other dangerous properties our daily lives are exposed to. Modern life and consumer culture have grown parallel to one another introducing a lifestyle that is product-dependent. Some of these products contain dangerous properties or perhaps are defect in their design and manufacture exposing us to a greater possibility of injury. When injuries are sustained as a result of a consumer product, injured parties can file product liability lawsuits to recover for their damages. Manufacturers; given their supposed in-depth knowledge and insight about their products, courts have usually held them accountable for the damages people have sustained through financial responsibility. Design Defects: these defects are part of the product before it was even manufactured. When a product has a design defect, it means the safety is lacking in the fundamental design of the product. Manufacturing Defects: is not a defect that is necessarily inherent in the product, instead, it deals with the way it was manufactured or assembled. Often times, manufacturing defects occur when the product departs from its intended safe design. Marketing Defects: include improper labeling, insufficient instructions or inadequate safety warnings or any other flaw in the way a product is marketed. Consumer Product Safety ACT (CPSA): has the authority to pursue recalls and ban products under special circumstances. Consumer Product Safety Improvement Act (CPSIA): provides information regarding product safety and addresses lead, phthalates, toy safety, third party testing and certification, imports and ATVs. It also has the authority to repeal a funding limitation. Public Law 112-28: gives more discretion to CPSC to enforce safety regulations. Federal Hazardous Substances Act (FHSA): requires labeling on household products & provides CPSC with authority to regulate and ban such substances in toys or other products for use by children. argue in their defense that the customer (plaintiff) failed to communicate the involved parties about the product defect. Argue that the product was defective under the plaintiff’s territory, and hence the manufacturer, supplier or retailer cannot be liable for the damages. Negligence: you must prove that the manufacturer, supplier and/or the retailer are liable. You can do that through showing a breach of their duty which caused injuries to occur resulting in actual damages. Strict liability: regardless of the level of care, manufacturers are strictly liable for product defects that occur in the manufacturing process. Has your family been hurt by a defective product? Get help now! 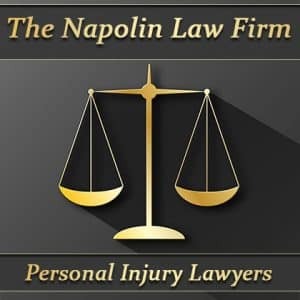 We are available for a free case consultation - (909) 325-6032!